For as simple as SEO looks and as great a method as it is for getting cheap marketing done, it’s still pretty complicated. That’s why many businesses will see their SEO efforts farmed out to outside companies that are already in the know about how SEO works. Once business owners learn that SEO is more than just using keywords over and over, they quickly find ways to make sure that the marketing form isn’t their problem anymore. You can continue doing this, sure, but you’re doing yourself a disservice – you don’t need to know all there is to know about search engine optimization, but even understanding basic strategies and information can make your business better. SEO can be inserted into all of your strategies and campaigns, and you likely aren’t outsourcing every marketing strategy you come up with. It won’t take long to learn the basics of SEO. This education plan covers 30 days of SEO basics so you can finally understand Search Engine Optimization 101. Days 1-6 – Learning the basics of how search engines work, how on- and off-page SEO works, and Google’s algorithm and updates. Days 7-8 – Setting up analytics tools and getting yourself ready to actually use SEO methods. Days 9-19 – Researching your competitors and what keywords will work best with your business. Days 20-23 – Learning about link building and putting a strategy for it in place. Days 24-26 – Understanding local SEO. Days 27-30 – Measuring your SEO success. Day 1 – Today just ease yourself into the waters with some video homework. This short video from Matt Cutts, the former head of Webspam at Google, will teach you some basics in an easy to digest way. Day 2 – SEO is about staying up to date on current trends and what’s going on in the world of analytics day by day. To keep updated, follow blogs from sites like Moz, HubSpot and Search Engine Watch. Day 3 – SEO and inbound marketing strategies share a sort of symbiosis. While SEO helps ensure the visibility of inbound content, inbound marketing helps SEO do its job via content that people like and are willing to share. Start learning more about this relationship via HubSpot’s Inbound Marketing Certification. Day 5 – Off-page SEO is different from the previous bullet. Off-page SEO is anything that effects your site visibility that isn’t directly visible on your page. Learn more in-depth information here from Search Engine Land. Day 6 – Google Updates their algorithm all the time and it makes it hard for SEO professionals to keep their sites optimized consistently. You need to understand the major updates to become truly familiar with SEO. Day 7 – Now you’ve got to start setting up your analytics. Most people use Google Analytics, and you can figure out how to start doing so yourself right here. Day 8 – Now it’s time to set up your Google Search Console. Via this tool, you can see your site exactly how Google sees it. This can help you better modify your SEO structure to be acclimated with Google’s algorithm. Days 9-15 – Keyword research isn’t something that you can simply do with a quick Google search. Nick Eubanks can show you exactly how to start becoming a keyword research pro via his one-week course. The course isn’t free, but the investment is well worth it. The course is assigned via email – you’ll receive one a day that explains different successful methods of keyword research. Days 16-19 – Now your goal is to see what your competitors are up to. Your SEO strategy should always be tailored around your competition. Identify who your competitors are, how much traffic they receive, what keywords and phrases they’re targeting, their social media presence and their content strategy. You can learn how to do this via this Search Engine Watch resource. Day 20 – Link building is truly just another word for off-page SEO. When high-quality links link to your website, this increases your SEO ranking. This technique is also harder than you might think – try reading this ebook from Paddy Moogan to understand both the strategy and importance of link building. Days 21-23 – Now that you’ve read up on link building techniques, it’s time to get your hands dirty. Point Blank SEO has a simple resource to use for understanding basic link building tactics, so read this resource and see what you can come up with. 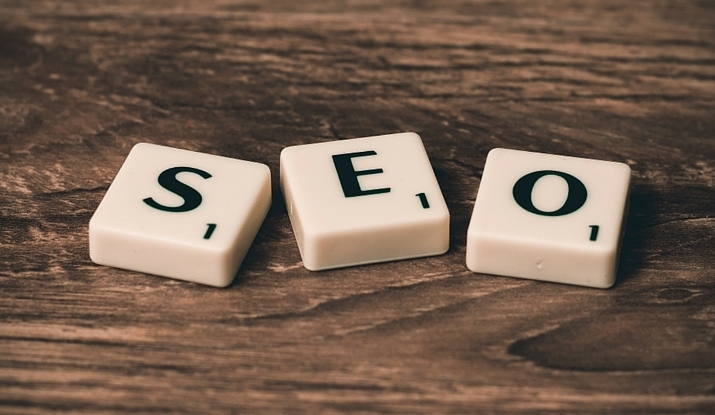 Days 24-26 – SEO is typically associated with global visibility, but that’s not always the case. Some businesses are global, like Coca-Cola – but what if you’re a restaurant? You want people in your neighborhood to be able to find you. Resources like Google My Business, and this Local SEO guide can get you where you need to be. Days 27-29 – Now that you have all the tools you need, it’s time to actually measure all the success you’ve implemented. This includes search engine share of referring visits, search engine referrals, conversion rates and rankings. Day 30 – Bask in all your success.